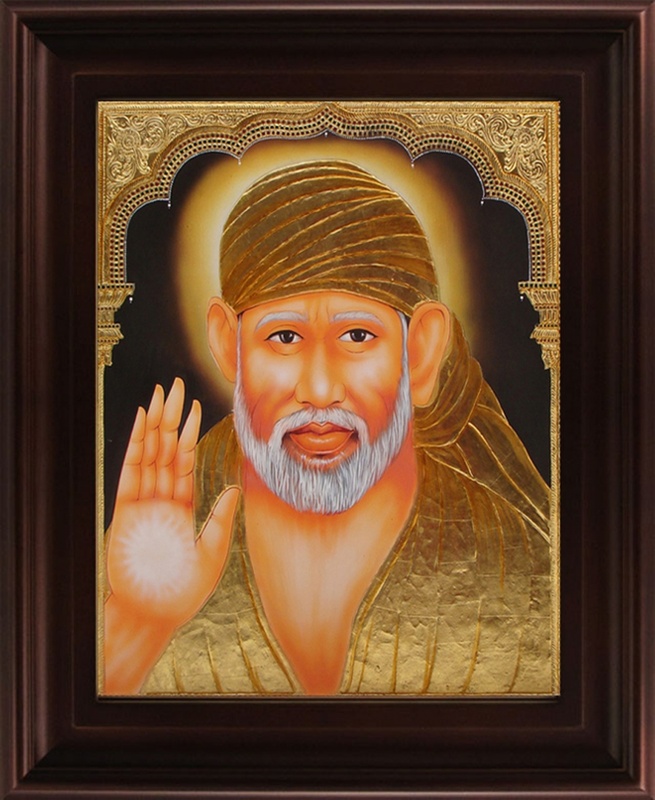 Shirdi Sai Baba was an Indian spiritual master who is regarded by his devotees as a saint/fakir. His teaching combined elements of Hinduism and Islam. Sai Baba&amp;#039;s disciples and devotees claim that he performed many miracles. This Tanjore is handmade using 22 carat gold foil and semi precious stones.